Cold medicines may be available over the counter but that doesn’t mean they are risk-free. Active ingredients can interact with other medicines, dietary supplements, or even foods and some should be completely avoided by those with certain health conditions. Pseudoephedrine and Phenylephrine are decongestants used to help reduce nasal stuffiness and increase sinus drainage. They can cause nervousness, anxiety, and rapid heartbeat. Ask your doctor before taking these if you have high blood pressure or other heart conditions. Avoid caffeine and dietary supplements containing ephedra (ma huang) and guarana. Combining pseudoephedrine with ephedra and caffeine can lead to dangerous cardiovascular effects. Pseudoephedrine and phenylephrine can have dangerous interactions with many medications include MAOIs, a group of antidepressants. A severe reaction can occur resulting in fever, hypertension, and arrhythmias. Ask your pharmacist to review your medications before taking these decongestants. Dextromethorphan works to stop a cough by suppressing the cough center in the brain. It should not be given to children younger than 4 and can cause serious side effects and even death in young children. Do not combine dextromethorphan with MAOIs. A 2008 FDA advisory said cough and cold products should not be used in infants and children under 2 because of potentially life-threatening side effects. Rather than giving your child conventional cough medicine, give them a spoonful of honey (if they are over 12 months old). A 2007 study by Penn State College of Medicine found honey to provide better relief than the cough medicine-and honey is safe and yummy. 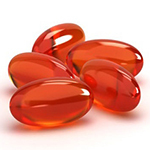 NSAIDs are non-steroid anti-inflammatory medications widely used as pain relievers and fever reducers. They include ibuprofen, aspirin, naproxen and a variety of prescription strength versions. If you regularly take these and add a combination cold medicine that also contains an NSAID you could end up taking too much. Because they have blood thinning properties they should not be combined with other blood thinners such as Coumadin (warfarin), ginseng, ginkgo, garlic, and high doses of vitamin E. Taking antidepressants with ibuprofen may increase bleeding or bruising risk. Combining creatine and ibuprofen can increase the risk of damaging the kidneys. Acetaminophen is a pain reliever and fever reducer. Avoid alcohol when taking acetaminophen to reduce potentially toxic effects on the liver. Liver protective supplements include milk thistle and N-Acetyl-Cysteine (NAC). NAC is actually given for acute overdoses of acetaminophen poisoning. Many people accidentally combine acetaminophen-containing cold medicines with individual doses of acetaminophen because they do not carefully read labels. Antihistamines can help relieve symptoms of sneezing, watering eyes, and a runny nose but side effects include drowsiness and decreased ability to think clearly. Chlorpheniramine, brompheiramine, and diphenhydramine (Benedryl) are some first generation antihistamines that cause drowsiness. You should avoid alcohol and drugs or herbs that also have sedative properties. Consult your doctor if you are on tranquilizers, sedatives, or anti-anxiety medicine. Skull cap, valerian, and kava kava are herbs with sedative properties. Newer antihistamines such as loratidine (Claritin) and cetirizine (Zyrtec) are supposed to have less severe side effects. Do not take combination cold medicines containing antihistamines with individual doses of antihistamines. If you are on any daily prescription medications, over the counter medications, vitamins, herbs or other supplements, have your pharmacist review what you are taking for any potential interactions. Also, always read combination cold medicine labels carefully and know exactly what you’re taking to avoid accidental overdose.